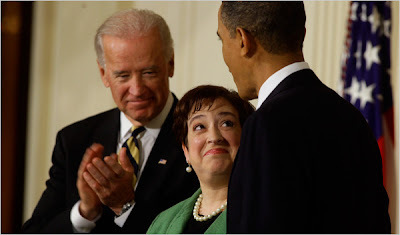 President Barack Obama's nomination to the U.S. Supreme court, Elena Kagan, has been sold to the public as a "moderate" - yes, a little liberal leaning, but moderate none the less. In this first of a series of posts, I look at Elena Kagan's patterns of association. If Elena Kagan is a moderate, why then has she long associated with people connected to three interrelated organizations - the Communist Party USA, the Democratic Socialist Organizing Committee/ Democratic Socialists of America and the far left Washington D.C. think tank, Institute for Policy Studies? Raised on New Yorks' Upper West Side, Elena Kagan's parents were both politically active in a place and era where politics was dominated by the Democratic, Socialist and Communist parties. Elena's mother Gloria Kagan campaigned to elect far left Democratic Congressman, William Fitts Ryan. 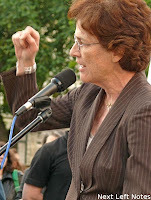 Her older brother Marc Kagan was active in the socialist influenced New Directions movement in the Transport Workers Union. When one of its leaders, Roger Toussaint, was elected union president in 2000, Mr. Kagan became his chief of staff, until a falling out occurred in 2003. 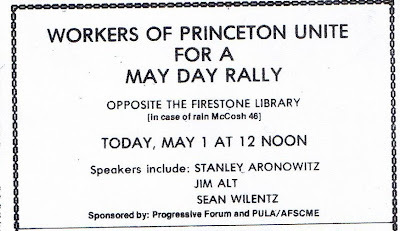 Marc Kagan's former comrade and boss, Roger Toussaint is prominent in the communist initiated Coalition of Black Trade Unionists, which now led by D.S.A. member William Lucy. 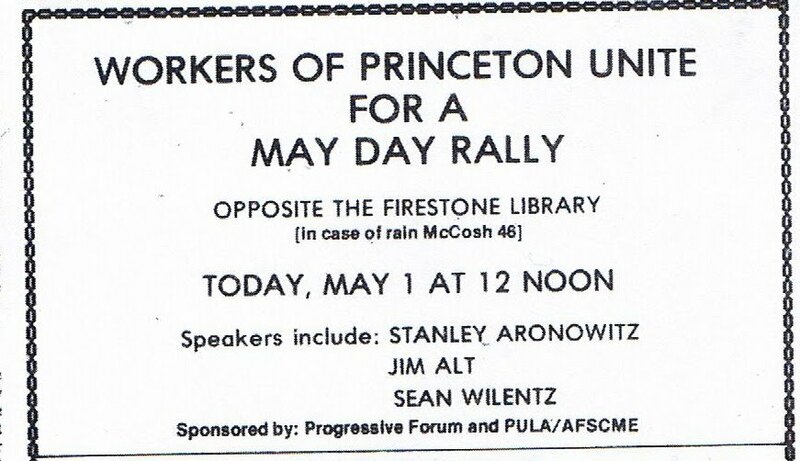 He also serves in the leadership of the Center for the Study of Working Class Life at Stony Brook University, alongside Ray Markey from the Communist Party offshoot Committees of Correspondence and D.S.A. leaders Gerry Hudson, Mark Levinson, Stanley Aronowitz and Frances Fox Piven, co-originator of the infamous Cloward - Piven Strategy. Liz Holtzman is also way left of center. In the late 1980s and early 1980's the Marxist based Democratic Socialist Organizing Committee, or D.S.O.C. 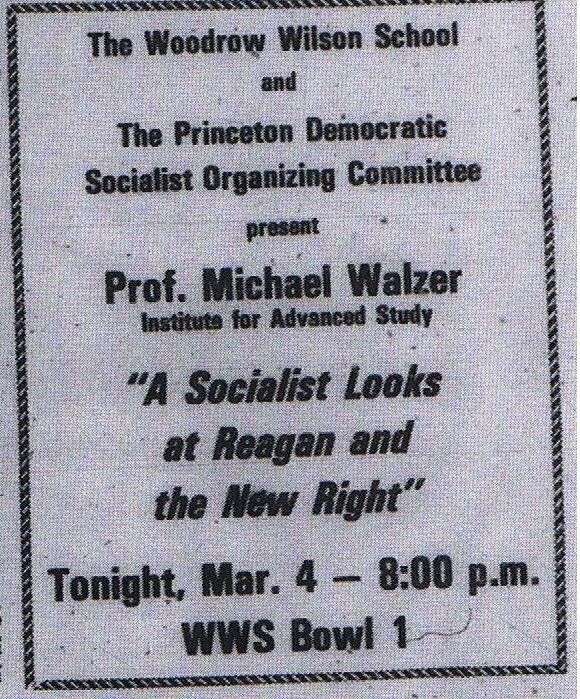 (later to become Democratic Socialists of America, or D.S.A.) was highly influential inside the New York Democratic Party and city government - even Mayor David Dinkins was a member. On August 6 1993, a rally to commemorate Hiroshima Day was held in Dag Hammarskjold Park, New York. The rally was designed "to kickoff a national campaign to collect a million signatures supporting a Comprehensive Test Ban Treaty, commend president Clinton for extending the nuclear testing moratorium, urge renewal of the Non Proliferation Treaty, urge swift and complete nuclear disarmament." 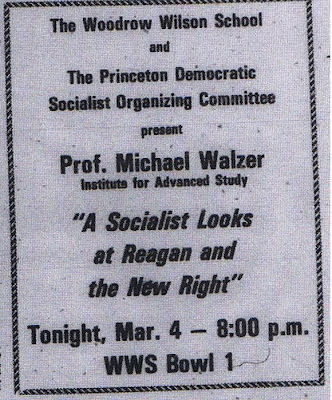 At Princeton, Elena Kagan's law school room mate was Sarah Walzer, the daughter of Princeton social sciences professor Michael Walzer. In our own times, a coherent socialist movement is nowhere to be found in the United States. Americans are more likely to speak of a golden past than of a golden future, of capitalism's glories than of socialism's greatness. Why, in a society by no means perfect, has a radical party never attained the status of a major political force? Why, in particular, did the socialist movement never become an alternative to the nation's established parties? Elena Kagan is about the furthest thing from a socialist. Period. And always had been. Period." Dissent's masthead is Marxist heavy and lists several well known D.S.A. affiliates including the late Irving Howe, Joanne Barkan, David Bensman, Mitchell Cohen, Maxine Phillips, Mark Levinson, Bogdan Denitch, Erazim Kohak, Deborah Meier, Harold Meyerson, Jo-Ann Mort, Carol O'Clearicain (NYC Finance Commissioner under David Dinkins) and Cornel West - a member of Barack Obama's 2008 Black Advisory Council. 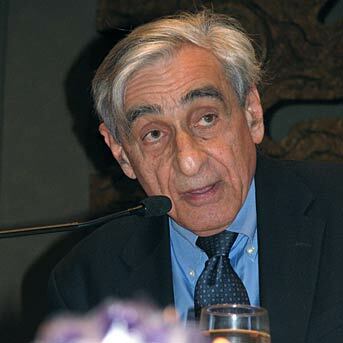 One of Dissent's two editors is Elena Kagan's old room mate's Dad, Michael Walzer. Where are the sources for all the information in this article??? Follow the blue links anon. lets just hope november comes sooner than expected so that this administration cant pass its insane "internet kill switch" to suppress these websites and MORE of our FREEDOMS! Kagan is typical Communist trash complete with room temperature I.Q. who achieved high office by boot licking loyalty to inferior scum like Obama. I pray for a Second American Revolution so that we Patriots can remove socialist filth like this from public office and put them to work at jobs they are more suited for like cleaning latrines. We do not need a 2nd amend. revolution in November, just vote! Americans are not going to wake up. The problem is the youth. They were born after the Soviet Union fell. They never saw the story's of people fleeing East Germany and being shot by East German border guards. The youth hears Utopian grandiose from their secondary school teachers and then their college professors. I tell of my trip to the Soviet Union in 1978 and the conditions there; I am looked at with skepticism. That's one of the most chilling aspects of this moment in our history -- our youth. My own sons prefer to roll their eyes, run out of the room when Beck is on, and continue listening to leftist broadcasters who refuse to report the news or investigate the truth. They SAY they don't want Communism. But what they don't understand is what that actually MEANS. Whittaker Chambers talks about his experience with naive non-Communists who, college-educated as they were, could not recognize that their views were being shaped by Communists. In fact, the non-Communists were doing the most damage. The Communists didn't have to do much. Just smear, ridicule, suggest. That's because we are ignorant of what the Marxists, the Fabians, the Maoists believe, what they've wrought throughout the modern world. So why do we -- even those of us who have postbac. degrees -- suffer so from not just apathy toward, but from substantial ignorance about our own Republic, our Federalist system, especially in comparison with our greatest foe? As "I've shrugged" commented above, "the youth hears Utopian grandiose from their secondary school teachers and then their college professors." The indoctrination is reinforced by media and journalists who have also been taught by those same propagandists in our schools, colleges, and universities. Whittaker Chambers asserted that Conservatism could never defeat Communism, that the world is essentially divided -- even now -- into two opposing sides: revolutionaries or counter-revolutionaries. If you are not an active counter-revolutionary, then you are, for all practical purposes, a revolutionary -- because you are not actively battling against it. Our youth's ignorance and indoctrination make them placid and tacit tools of the true Revolutionaries. The same can be said for members of our Congress and high level bureaucrats in every aspect of our government. Whittaker Chambers told his story -- and did what he could to "fight" the battle as he could. Thank you so much for all of the work you are doing. Your website is a great resource. Stay strong! I'm praying for you. WHY does the MSM ignore the scathing fact that Kagan's roommate's dad was a loony Socialist professor??? Or the organizations that a Congressman she interned for in high school was involved in? That would blow the lid off this whole nomination process!!! Just as the progressives painted the right as the origin of fascism - when it has always been a leftist phenomenon - they are erasing the bitterness of the socialism and communism as experienced in the Soviet Union. Goldberg's prophecy looks good right now, where he noted that the US will slide into the Liberal Fascism exemplified by the president and his socialist coterie - but virtue of the fact that the education of our children is controlled by texts and teachers who paint this rosy picture of things that aren't. The indoctrination of our children began when the federal government took over education. This must be reversed and control placed back in local hands if we are ever to combat the misinformation and Orwellian indoctrination of our children. If it acts like a duck, looks like a duck, and walks like a duck...it can't be MODERATE...IT MUST BE A SOCIALIST/COMMUNIST! Are there any credible sources available for the claims made in this piece?